The best part about the Admin Track at Dreamforce? It’s for Admins, by Admins. And this year’s track was no exception. 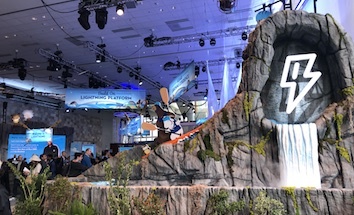 With a record-breaking 127 sessions, the #AwesomeAdmin Ohana had chances to learn, connect, have fun, and give back—all while attending theater or breakout sessions! 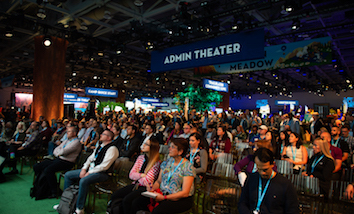 And now, no matter where you are in the world, we want you to keep learning even after DF18 is a well-cherished memory. To help you do that, we’re bringing you our recap of the top 5 Lightning sessions so you can continue your learning journey from the comfort of your laptop. Sit back, relax, and amp up your Lightning skills! 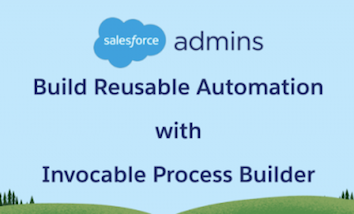 Salesforce Administrators are masters of resourcefulness, and your org’s transition to Lightning will certainly require your #AwesomeAdmin cape. Join us to learn about the most useful tools at each stage of the Lightning transition, including how to leverage Trailhead’s enablement pack, tips on how to work with new Lightning features like the activity timeline, and how to make the most of the Salesforce Community. You’ll walk away with the knowledge you need to execute a smooth Lightning transition, and ideas to help keep your users connected and engaged. Lightning helps admins and developers build powerful apps that bring user productivity to new heights. But for those new to User Experience, the design and planning process can seem intimidating. Join us to learn more about what UX personas are, how persona-driven design can help you identify and prioritize features, and how to build Lightning prototypes that will get your users excited for more. You’ll leave with a design framework and tools you can use to supercharge your Lightning apps. You need to transition to Lightning Experience and we can be your guide. Learn about tools to make the job easier. Discover pro tips gathered from two years of transitioning customers to Lightning Experience. Ease anxiety about the move with a four-step process from making the business case to your leadership team, to determining the order in which you should migrate users, and everything in between. Join us as we cover the world of audience targeting within Salesforce communities. We’ll explain and show you how to create highly personalized experiences within Community Cloud with branding sets, page variations, and even component-level audiences. Not only will this surprise and delight your users, but it will significantly increase efficiency for administrators or developers responsible for managing a Salesforce community that warrants UX personalization for employees, customers, and/or partners. You’ll experience a live demo that will show how easy it is to take a single-experience community and inject audience-specific experiences. If you are tasked with designing record page layouts in Lightning, join us to learn how to create Lightning record pages that your users will love. 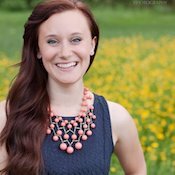 The secret sauce is knowing how to build a well-organized, relevant layout that displays the right information to the right people. You’ll learn where to control all of the page components, strategies to present information clearly, and how to take advantage of standard components in the Lightning App Builder to quickly customize your pages. Hungry for MOAR Lightning or DF18 content? Take a look at our page! 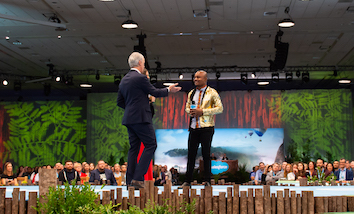 Every track recording from DF18, all organized for you in one central location. Check it out ?.